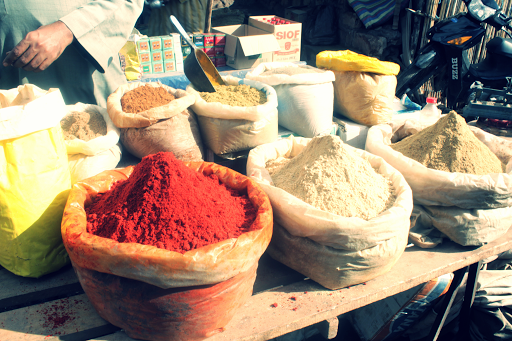 The vibrant colours, food and striking décor are just a few reasons that Marrakech has been on my hit list for quite a while. So it was about time to take a trip there and from speaking to people who had visited, it seems a few days is plenty. Accommodation: Hotels in Morocco, known as Riads, tend to be fairly small and include open courtyards and mini pools which keep the temperature cool throughout. All you see outside these amazing riads is just a plain wall and a large door with no idea of what is in store. 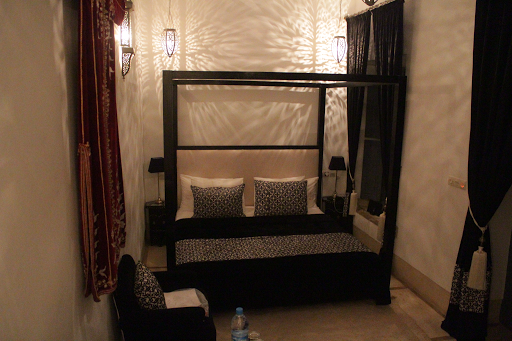 We stayed in Riad Adore, which although is rated highly on Trip Advisor still exceeded our expectations. It’s fairly small but much more spacious and bright than I could tell from the images on the website. The décor is modern fresh white and grey, though with traditional elements. 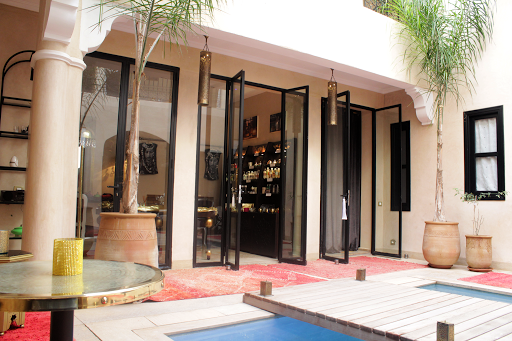 This is located in the heart of Marrakech, five minutes from the hustle and bustle. 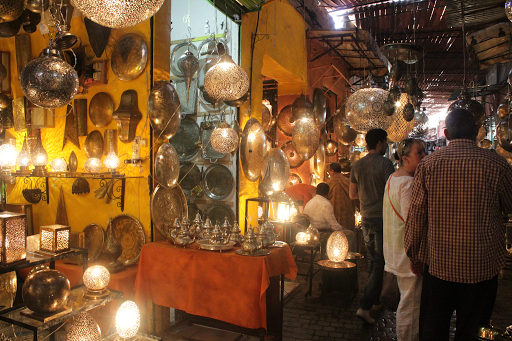 Though as with most places in Marrakech you have to walk down numerous back streets to find it. It is close to impossible not to get lost at least once, I can’t say I’m normally good with direction but Marc is brilliant….yet he even begun blaming the maps when we just could not navigate our way around. You have to rely on the small signs i.e turn left at the dumpster, right after the third grate and left before the stained glass window. The staff are so helpful and accommodating. The owner, a British man will also help guide you to anywhere you are planning to go (which as explained you need as much guidance on directions as possible). 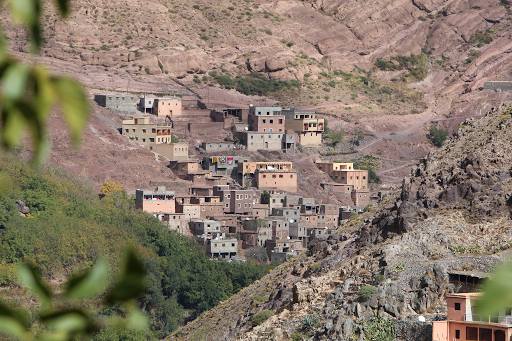 Day trips: We decided to do one day-trip to the Atlas Mountains on our first day. A word of warning, and probably an obvious suggestion to most, wear appropriate footwear. I opted for fashion not functional with my girly sandals…oops. The trip included a visit to see Argan Oil being made which was really interesting and they had so many variants to buy. I had to stop myself from buying the shop so just opted for the citrus argan oil it’s smells so good. 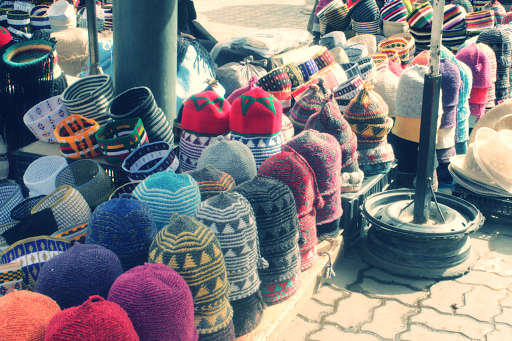 Markets: we were warned that you get so much hassle in the souks but I was pleasantly surprised. Perhaps due to having visited places in Asia where the sellers follow you around shops, in comparison this was refreshing. Sure people approach you as soon as you show interest but you simply have to say no thank you and they retreat. Food: Every meal we had was delicious, however I can imagine if we stayed there longer than three days it would become a bit ‘same-y’. 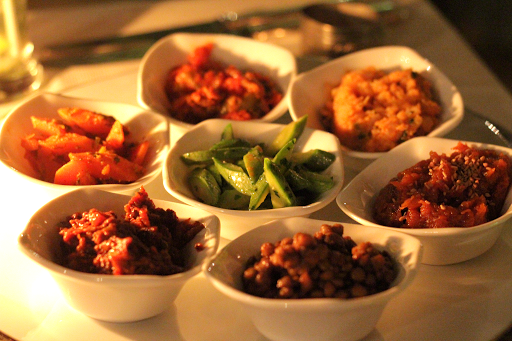 We pretty much had a tagine for every meal. 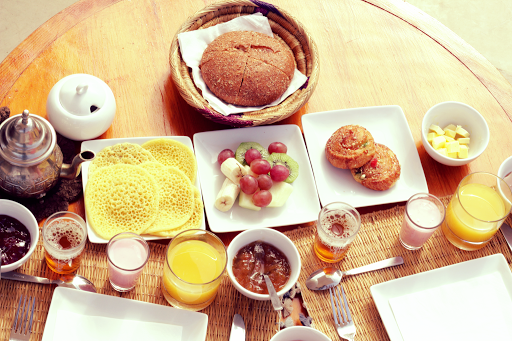 Even the breakfast was great in the riad, this always included Moroccan bread, jams, juice, tea, fruit and then special pastries and pancakes which varied each day. One night we had dinner at riad Kniza, which seems to be famous amongst celebs judging by the amount of photos the owner has with A-listers which adorn their bookshelf. When we first entered the dining room it was empty and seriously lacking some atmosphere but before long it began filling up and everyone was so friendly we found ourselves chatting to most tables. The dinner was incredible they just kept bringing more courses, we had soup with bread, pastilles, delicious Moroccan salads, huge tagines and then desert….we were stuffed and pretty much had to roll back to our riad but it was brilliant and highly recommend anyone to go for dinner there. 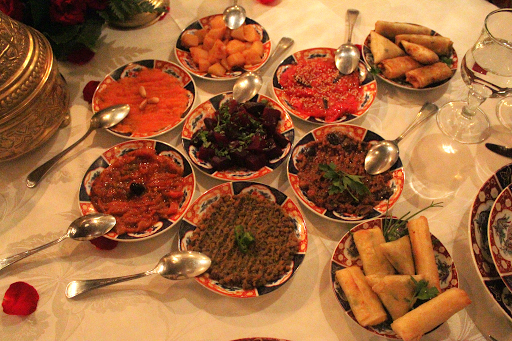 I opted for the Moroccan salads to start, which I love, usually consists of an aubergine dish, carrots, lentils etc. For my main I went with fish which although was nice I don’t think it’s their strong point. 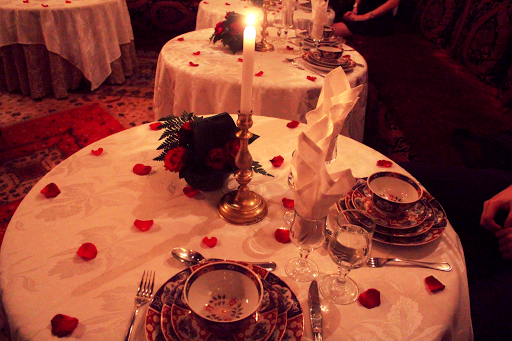 The setting was gorgeous, the atmosphere was more romantic with dimly lit tables outside by the pool with a musician playing. Spa: Three days of Moroccan mountains and markets do mean of course a trip to the spa is a must and when choosing which treatment to opt for, I always feel it’s important to try out the local pampering custom. 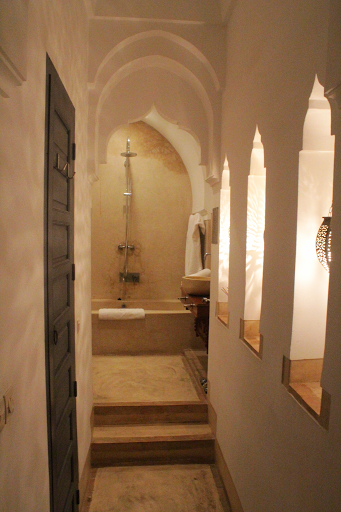 In Morocco it’s all about the Hammam, so that was our decision made. Let’s just say I was not ready for what was in store, the first half of this ‘treatment’ involves a steam room. Sounds pleasant enough. I guess it depends on what lady you get but mine was pretty scary and with no word of warning marched in and poured a bucket of water over me at intervals before scrubbing me. Not to knock their tradition as I’m sure some people love the cleansing element of this but I’d rather clean myself thank you very much! Overall a brilliant trip, I couldn’t believe I was only there for a long weekend. 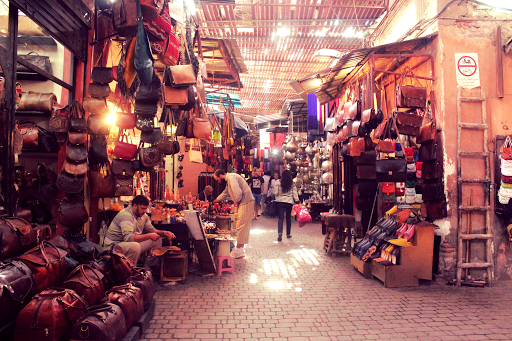 If you are after exciting culture, delicious food, friendly people (those that don’t try to rip you off) and markets to get lost in try Marrakech…just take a map with you!